Free Opening Reception for the Artists Friday April 5 from 7–11pm. The Fridge DC is excited to welcome back artist Nick Zimbro (of 2018 DC Street Sticker Expo 4.0 portrait collage all fame). Consisting of a wide range of smaller paintings and a gigantic installation piece– the artist has also included a selection of works on canvas that are not to be missed. Exhibit will be on view through April 28, 2019 and is free and open to the public. Email Alex for an appointment or inquiries. Smashed: The Art of the Sticker Combo is a street art photography book that shows how trading street art stickers by mail has grown into a gallery exhibition that reached three million people in 2016. Over the last 5 years the DC Street Sticker EXPO has evolved into Washington DC’s largest group show. The EXPO has hundreds of sticker artists participating for each installation making up the hundreds of thousands of stickers that cover the gallery. 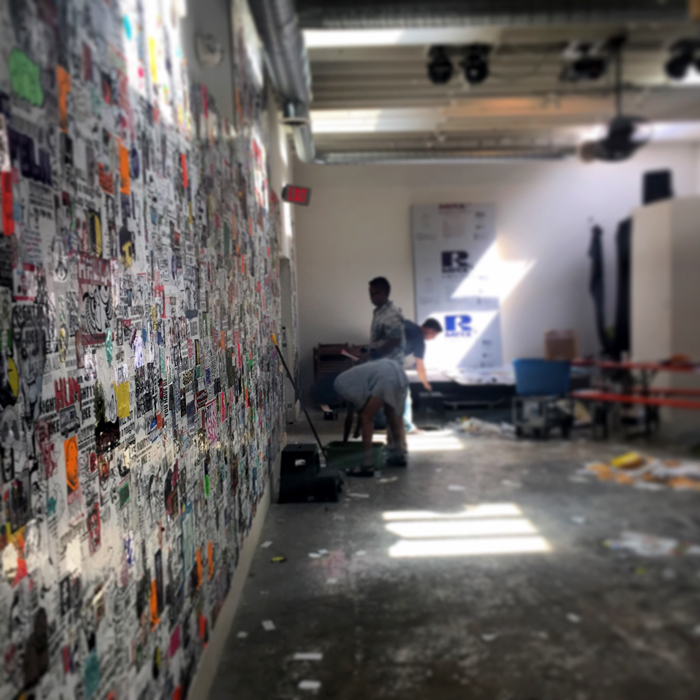 This book follows the growth of the DC Street Sticker EXPO beginning in 2013 with a 10,000-sticker installation, to an installation of nearly 300,000 stickers in 2016. See what high-resolution images of a fine art gallery smashed with hundreds of thousands of stickers looks like. It’s simply unforgettable.